Before I attended makeup school over 2 years ago, highlighting products seemed like an unnecessary step in my makeup routine. I learnt pretty quickly how useful they can be in bringing forward certain details in the face and how when used right they can create the most gorgeous dewy glowing look! For a while I stuck to using some of my basic champagne eye shadows like Urban Decays "Virgin" from the original Naked Palette I have since tried liquids and creams but I've come to the conclusion that champagne powder highlighters are the ones I favor most. I've read some amazing reviews and heard the praises being sung about The Balm Cosmetics. So, while perusing Beauty.com, two of their products quickly made it to my cart one being this Mary-Lou Manizer highlighting product as well as the Bahama Mama Bronzer which will be reviewed shortly. Still I had my doubts about them, considering that I don't really go for that cartooney kind of packaging. Overly cutesy packaging aside, the actual product is really quite beautiful. 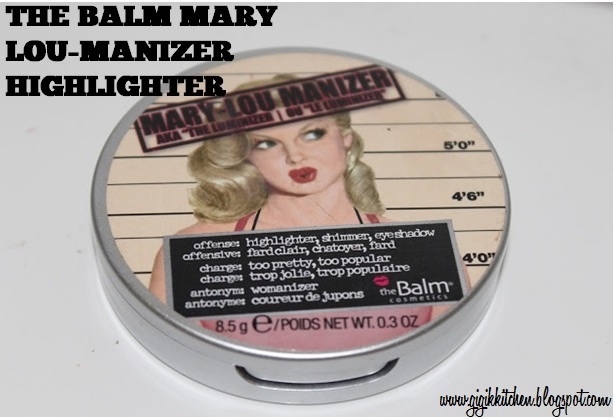 What the Balm has to say about their highlighter: "Meat Mary-Lou Manizer, a seemingly innocent honey hued luminizer that catchers everybody's eye. This highlighter, shadow and shimmer diffuses light so your skin looks softer and younger while adding a subtle glow"
Color: The color is just perfect for my pale skin tone, it's a bit on the yellow side but I'd still classify it with those champagne colored highlighters. I like that it gives my face that lit from within kind of glow and it is ultra pigmented so with just one swipe you've got the right amount for every area needed. It definitely doesn't have a matte finish but there's no problem with annoying shimmer all over the face after it's applied and when blended well it looks beautiful and not overly shimmery. Texture: This powder has an incredibly soft feeling to it and is so smooth as it's applied with no annoying chunks of glitter. It's so soft that unfortunately it's already crumbled completely and I am left with millions of pieces of the product to deal with just a few weeks later even with taking special care to keep it safe. I don't know if I am the only one this has happened to but it was very disappointing to say the least. Packaging: I was a bit turned off by that cheesy cutesy looking packaging but I know there are plenty of people who love that kind of thing. At the same time it seems plasticky but sturdy and I really like that it comes with a large mirror inside for on the go applications. Price: $24.00 is not terrible for 8.5 grams of product especially as I haven't found anything that rivals it at the drugstore yet. Photo Friendly? Yes I would have to say this looks absolutely gorgeous in photos and it doesn't look overly sparkly or shimmery either. It looks just as it does in person- glowy. Recommended Skin Types: I think this will work well for every skin type since it hasn't caused any dryness or excessive oil production for me. I do think oily skinned people will have to be a bit more careful when applying it since as with any other highlighting product you can end up accentuating the oily look even more. Scent: There isn't one that I have noticed. Lasting Power: I apply it in the morning and it lasts throughout the day till late evening without fading at all. Application Tips: I like to use a small fan brush to apply this as it looks a lot better when it's focused on specific areas instead of being dusted everywhere. I like to start with just a bit on the brush and build it up as I go since it can be overdone pretty quickly otherwise. It can be used like it would be typically, over the bridge of the nose, in the center of the forehead and chin and over the high points of the cheek bones and cupids bow. I have used it on many occasions as an eye shadow all over the lid and on others as an inner corner of the eye and brow bone highlight too so it truly is a multi purpose product. I was very disappointed that this product fell apart shortly after I purchased it but I will still use it until I can get a new one since it is absolutely gorgeous! I love that it lasts all day without fading and that it doesn't look overly shimmery too. Although the packaging isn't my favorite I can look past it since the product itself is so beautiful. Do you have any of The Balm's products in your collection? If you do, which one is your favorite? 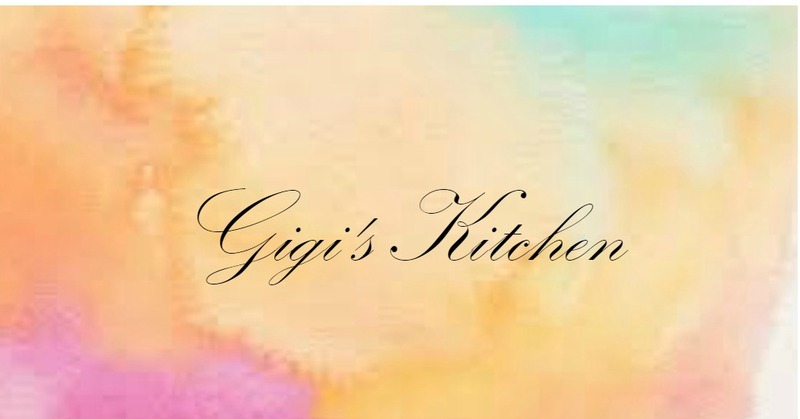 I'd love to get your recommendations in the comments form below!